Lettie Mae Webster was the sixth child of seven born on March 5, 1929 born to Daniel and Laura Webster in Robinsonville, Mississippi. Lettie accepted Christ in her life at an early age and was baptized at Christian Springs Missionary Baptist Church in Robinsonville, Mississippi. She received her formal education in Robinsonville Public School District. Lettie married her sweetheart Percy Lee Wells, Sr. One son was blessed to this union. After Percy Well’s passing the family moved to Memphis, Tennessee to be with Lettie’s siblings. Later on, Lettie and her son Percy relocated to San Diego, California, where she met Everest Hicks and was blessed with another son, Herman Demone “Bam” Webster. Shortly after her arrival to San Diego, California Lettie began working in the Hotel Industry. She retired and met Lucky Wilson and became a military house wife. Lettie was a strong and faithful reader of God’s word. She knew her bible very well and truly love the Lord with all her heart. Her illness was long and ongoing. She was a very strong woman and a fighter who never gave up. She had so much love and support from her family. Lettie was the happiest when she would spend Sunday afternoons with her sisters, family and friends. Lettie is preceded in death by her parents, Daniel and Laura Webster; her husbands, Percy Lee Wells, Sr. and Lucky Wilson; brother, Herman Webster Sr., sisters, Laura Monroe, Bea Vanhook, Alma Webb and Jessie Webb. Lettie Mae Webster was called home to be with her brothers and sisters on March 14, 2019. 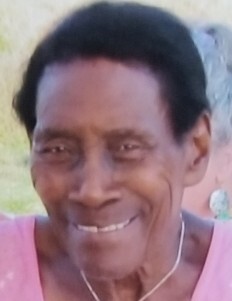 She leaves behind to cherish her life and memory: her sister, Lelia Sharpe; her loving and devoted sons, Percy Wells and Herman Demone Webster both of San Diego, California; granddaughters, Diedre Wells of Louisville, Kentucky and Neveah Webster of San Diego, California and a host of nieces, nephews and many friends.